Funeral services for Susan Hage of Roseau, and formerly of Warroad, will be held at 10:00 AM on Monday, June 11, 2018 at Helgeson Funeral Home in Roseau. Visitation will be one hour prior to the service; with interment at the Halstad Cemetery in Halstad, MN. 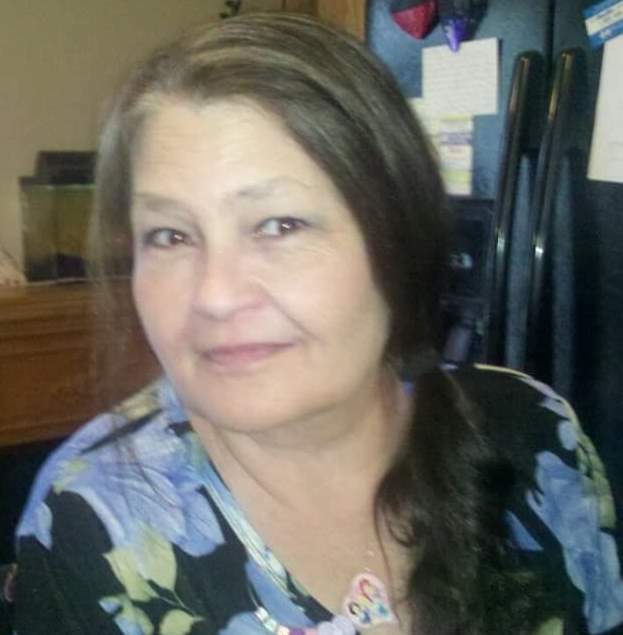 Susan Lee Hage passed away surrounded by family on June 4, 2018 at the age of 57 in Roseau, MN after a 20-year battle with cancer. Susan was born on January 9, 1961 in Charleston, West Virginia to Pauline (Begler) and Guy Ray. She moved around as a young child and lived in Hillsboro, ND. She and Leon Hage were married in Hillsboro on December 8, 1978. They lived in Halstad, MN, Ada, MN, Detroit Lakes, MN and finally moved to Warroad, MN in 1988. In addition to raising her four children, Susan worked as a cook at Cozy Kitchen and also at Marvin Windows. Susan always looked after her family. She enjoyed camping with her family and spending time with her grandkids. She will be remembered as a wonderful cook, a hard-worker, and a very caring person. Blessed be her memory. She is survived by her husband, Leon Hage of Roseau, MN; children, Crystal (Jim) Sherrer of Warroad, April Lightning of Warroad and Guy (Robin) Hage of Tioga, ND; 12 grandchildren, Dylan, Riley, Trevor, Dylon, Kayla, Elexis, Isabella, Ashley, Lillie, Atina, Skyler and Autumn; siblings, Rene (Larry) Shroeder of Dillworth, MN, Fred (Jody) Overmyer of Tioga, ND and Trudy Overmyer of Hillsboro, ND. She was preceded in death by her parents, Guy and Pauline; and daughter, Anita Hage in 2007.